I've just been introduced to Dotstorming by Karl Donert. It's a site which allows you to discuss images, and vote on them in some way. You can create up to 5 topics with a free account. I've made a free account - you just need to choose a nickname and provide an e-mail address to get started. 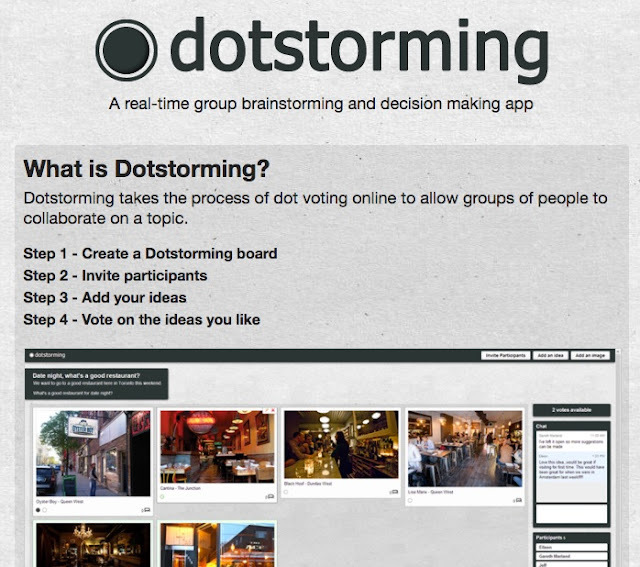 I then made a Pinterest board with the images that I wanted to use for the Dotstorm vote, and used the URL to insert the images into the board. The boards that are then created can be shared via a link or embed, or privately via e-mail.